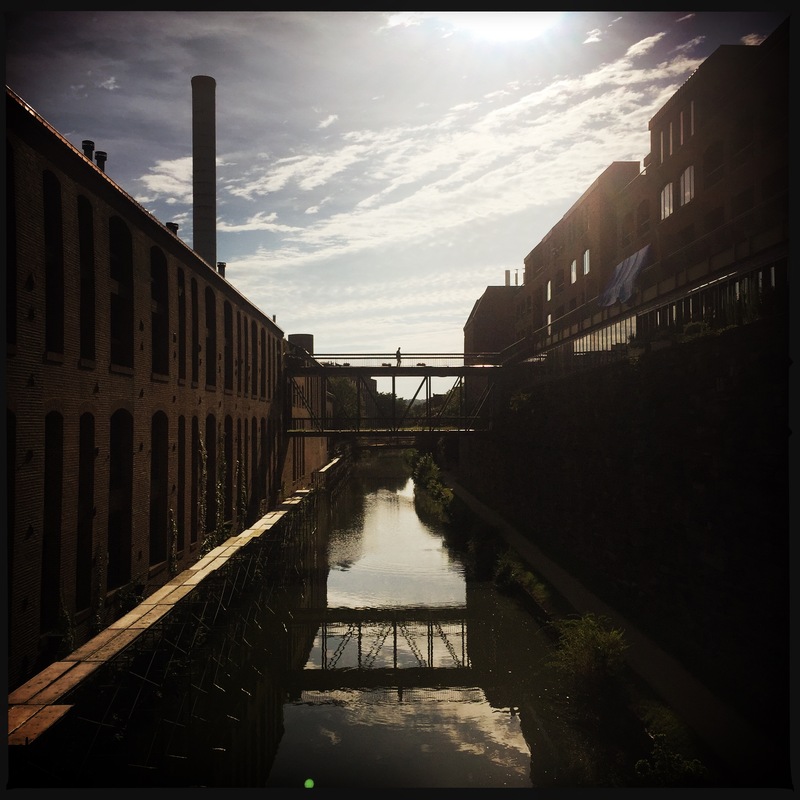 Last week, the National Park Service, in conjunction with the non-profit Georgetown Heritage, presented updated proposals for a restoration and revamp of the C&O Canal through Georgetown. Original proposals were floated by in the fall of 2017. And the newer proposals do not stray far from the earlier ones, except to the extent they tend toward the more conservative of the original options. 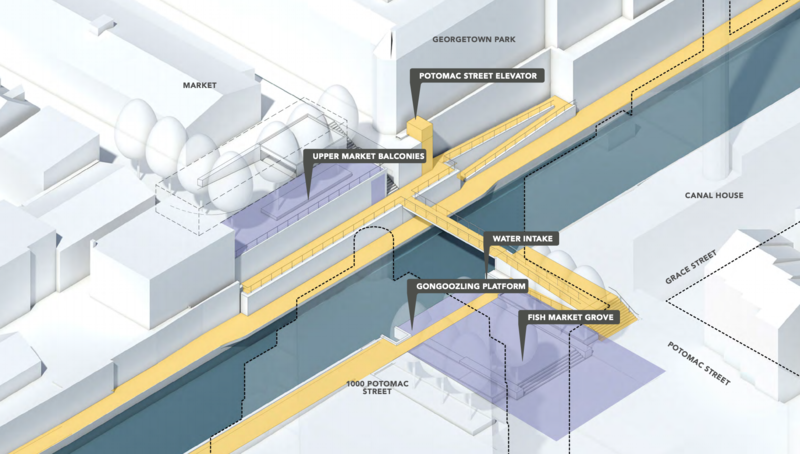 Like the first proposals, the plan breaks up this stretch into thematic sections. Starting at the eastern end is Mile Marker Zero. This is were both Rock Creek and the canal flow into the Potomac. 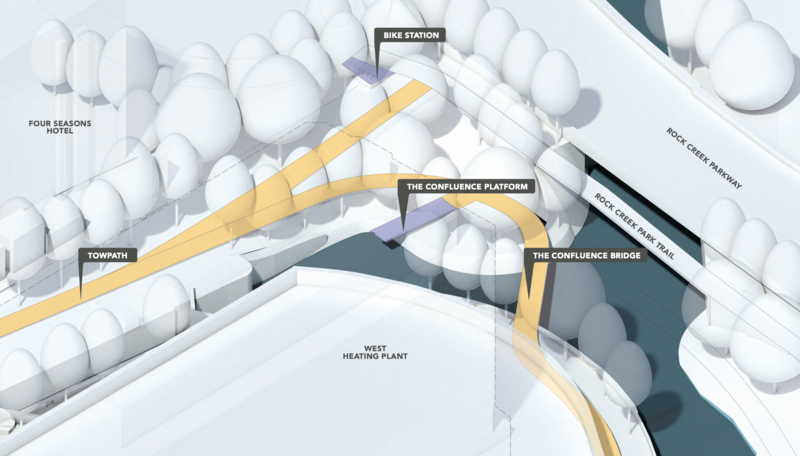 But the none of the new plans wold connect the banks like this. Rather they leave the west bank of the mouth as a destination, not a pass-through point. 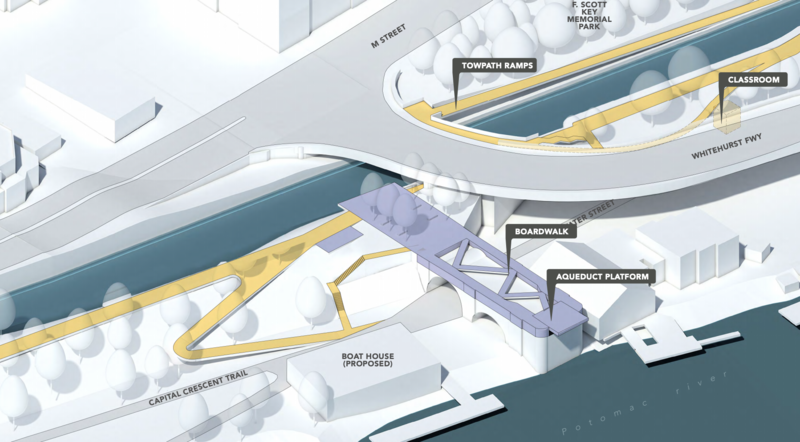 Although the design would call for the moving of boat storage behind Thompsons and the creation of a new bridge across Rock Creek back to the main Rock Creek path. The next section to the west has been dubbed the Confluence, since it is where the end of the canal meets Rock Creek. 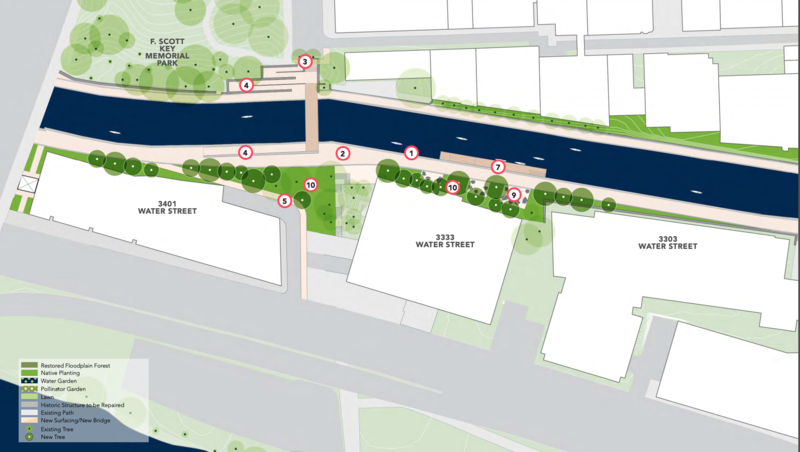 The only significant change between the new A and the B proposals appears to be where the visitors center will be located: along the canal where is currently is, or up along 30th St. 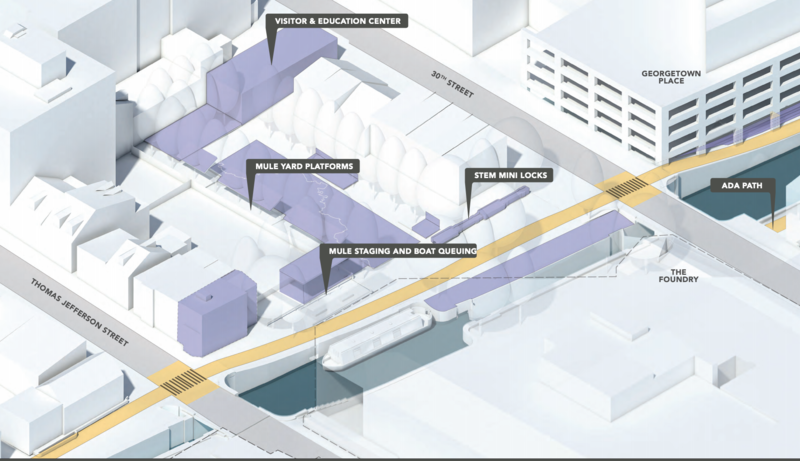 The next section is dubbed the “Markets” after the historic Georgetown Market (now a Dean and Deluca) and Fish Market Square, the brick plaza just across the canal from the Georgetown Market. 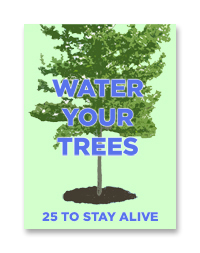 Many of the changes here would be simply for accessibility. A new elevator would be installed at the southwest corner of the Georgetown Park building. And there would be more ramps. But the more fun aspect of this proposal are the inclusion of some sort of a water feature built off the old water intakes. You can see these intakes today, they are where this is the odd cut away along the canal wall. At one point, the mills to the south took water from the canal at this point to help drive their mills. Bringing these back in a symbolic way would be a great addition. 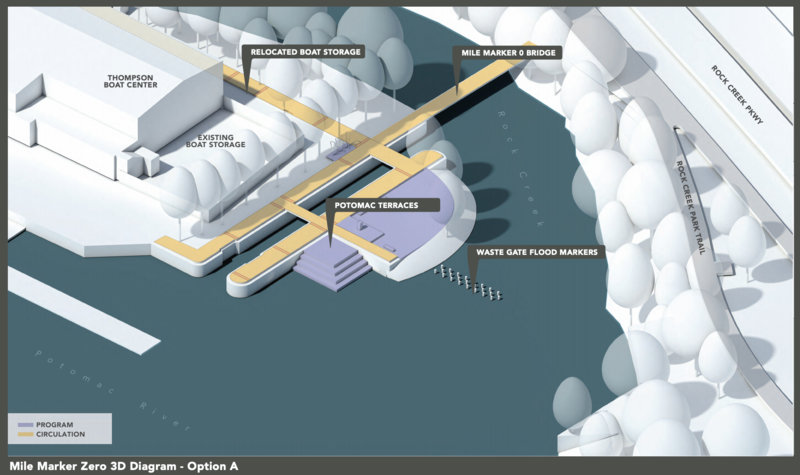 The next section, the Stone Yard, has mostly new ramps and a few new docks for increased boating on the canal. 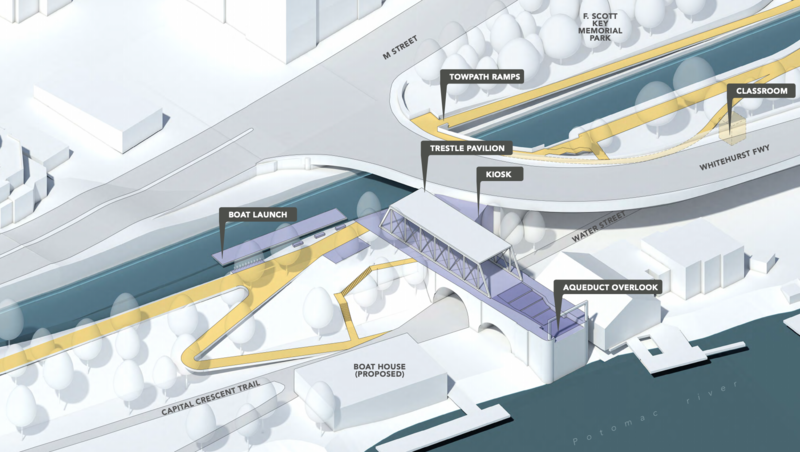 Originally they put forward two ideas, one with an observation window and another with the window as well as trusses meant to evoke the original bridge design.